Airplant (Tillandsia spp. ): growing, planting, caring. It shouldn’t come as a surprise that the airplant doesn’t need soil. Scientific name : Tillandsia spp. Tillandsia - the airplant - is a genus of around 650 species of evergreen, perennial flowering plants in the family Bromeliaceae, native to the forests, mountains and deserts of northern Mexico and south-eastern United States. Most Tillandsia species are epiphytes – which translates to 'upon a plant’ - or grow on shifting desert soil, absorbing moisture and nutrients through the leaves from rain, decaying leaves and insect matter. Those are the ones we’re interested in, here. Tillandsias are about 400 species of epiphytes - they do not need soil - with whole, often scaly leaves. The leaves are organized in rosette. The flowers are tubular or funnel with three sepals and three petals. These blooms in spring or fall. Do not plant your airplant, put it on the support you like, or hang it gently, without drilling or sticking it. Any wet mix that stays in contact with the roots will cause it to rot, even if it is sand. Spray your airplant from time to time with filtered water - it does not like limestone. 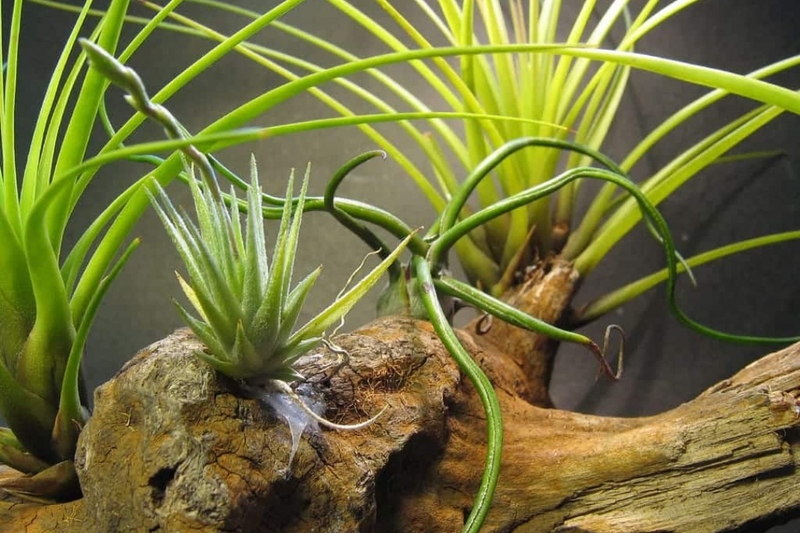 Place your airplant in a dry place, even in a draft, and do not expose it to direct sunlight. From March to October, twice a month, add some special liquid orchid fertilizer with a sprayer, dosed at 1/4 of the recommended amount. Tillandsias do not like fertilizers rich in nitrogen.